The only real way to understand this is by example, so I'll show what the final result could look like, and then how to create it. The 3 pages of your report. 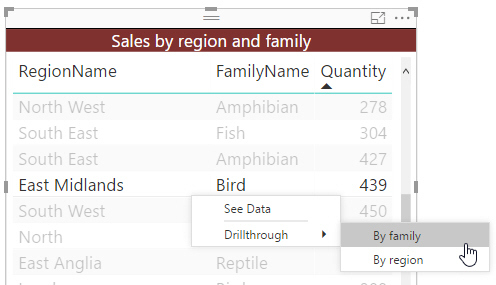 When you right-click on a row, you can drill down either to show its family's details or it's region's details. Typically your separate page will contain everything that someone could want to know about the value (here, family) that you've chosen for drill-through. The back button can actually take the form of a shape or image. 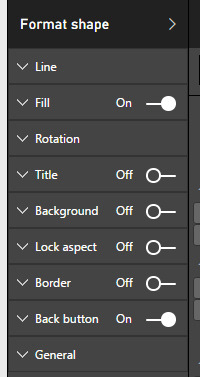 So that's what this new feature does; how to set it up? This is a report I've created to show the details for a specific family - it contains a card, a pie chart, a table and a KPI. 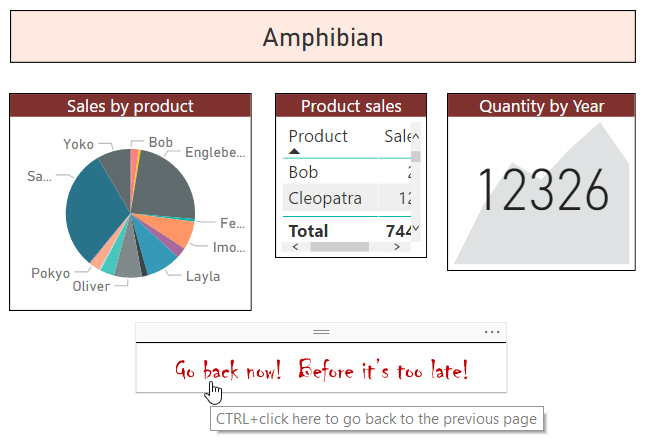 It's a good idea to apply a temporary filter to your report to limit it to a single dimension value (here Amphibian). Don't forget to remove this filter when you're ready to test your report, otherwise it will still apply! 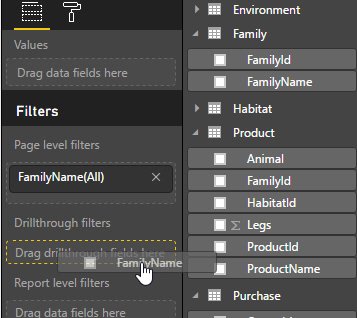 Drag your filter field onto the section shown in the field well. Want to show a quick summary of Bird family sales? 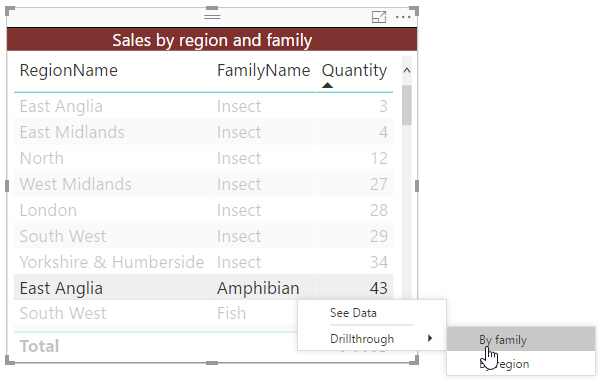 Right-click anywhere on a table row or chart series containing this item, and choose to go to the relevant report page. The default back button looks like this. Set the Back button property to Off, and it won't behave as a clickable button. It's more likely that you'll want to add shading and borders, though. 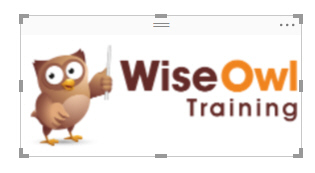 This image will have a Back button property, although it will default to Off initially. Sadly, you can't make a text box into a back button, so I had to screen capture this from another application. Notice that when you're editing a report you have to hold down the CTRL key and click to use your back button. All in all, a nice idea, and well implemented too.